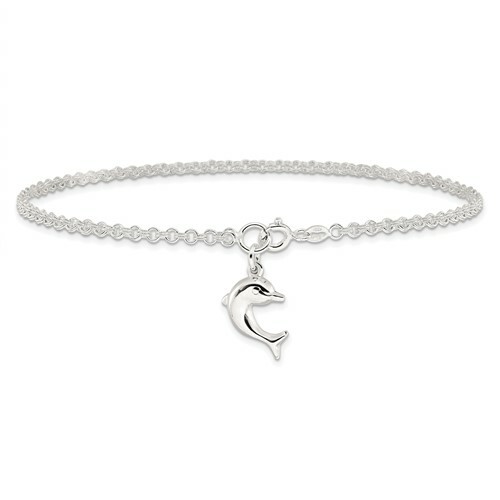 9in sterling silver 9in dolphin anklet is made in Italy. Weight: 4.19 grams. Springlock clasp.